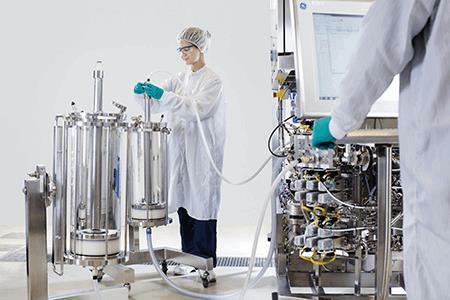 Trends In The Biopharmaceutical Market: Are You Ready For The Future Of Manufacturing? The launch of many innovative biologic drugs is creating exciting new opportunities for patient care. As these novel medicines become a larger part of the industry’s portfolio, it is critical we secure a supply chain and manufacturing processes that produce drugs in a reliable, cost-effective way. Modern technologies can help achieve this by increasing facility flexibility and process intensification, which reduces facility size and costs with resulting decreases in manufacturing costs and financial risk. We now have a toolbox for the future that allows us to bring many different types of molecules to the market quickly and efficiently.